U.S. Rep. Mike Fitzpatrick R-Pa. called for the U.S. Food and Drug Administration to investigate deaths linked to a popular surgical device used in hysterectomies and uterine fibroid removal at three prominent hospitals. He also called for an investigation of the device’s manufacturer, Johnson & Johnson’s subsidiary, Ethicon. 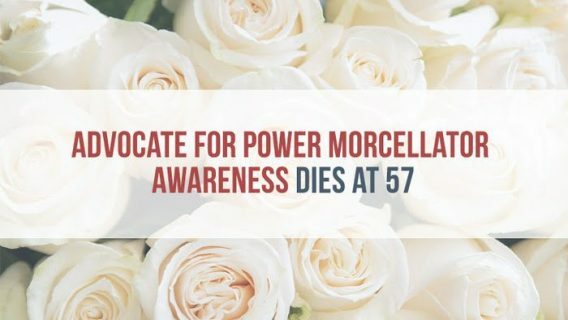 In November 2014, the FDA added a black box warning to the packages of power morcellators stating that the devices could spread and upstage undiagnosed uterine cancer. As many as 1 in 350 women may have uterine cancer spread in the abdomen and pelvic cavity by the device, according to the FDA. Shortly after the warning, Ethicon — one of the largest manufacturers of morcellators — pulled its devices off the market. The Pennsylvania congressman sent a letter dated December 18, 2015 to Director George Karavetsos of the Office of Criminal Investigations at the FDA questioning whether the hospitals properly reported adverse events, specifically deaths, related to power morcellators — drill-like devices surgeons use to cut up the uterus and uterine fibroids before removing them. The first laparoscopic power morcellators hit the market in the 1990s. In addition to an investigation of device maker Ethicon, the congressman’s letter asked the FDA to look into Brigham and Women’s Hospital, Rochester General Hospital and University of Rochester Medical Center for failing to report deaths linked to power morcellator surgeries performed at the hospitals. The families of about 30 women diagnosed with upstaged cancer after surgeries filed power morcellator lawsuits. The cases are consolidated into multidistrict litigation (MDL-2652) before Senior Judge Kathryn H. Vratil in the U.S. District Court for the District of Kansas. Several more cases are pending in state courts. The FDA has yet to respond to the congressman’s request for an investigation. Independent studies also found evidence of morcellators spreading hidden cancer. The FDA told Fitzpatrick it was unaware of the problems with morcellators until late 2013. 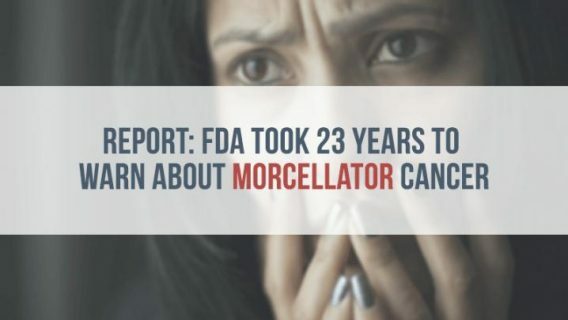 “For the over 2 decades since the power morcellator was 1st cleared for use on patients, the FDA’s Medical Device Reporting regulations failed to catch the severe dangers posed to women’s health by morcellation. 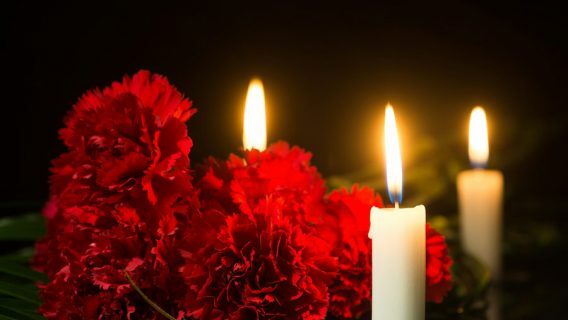 The FDA stated in a response letter to my office dated Nov. 12, 2015, that ‘[p]rior to late 2013, FDA did not receive any adverse reports related to the spread or upstaging of unsuspected cancer through morcellation of uterine tissue,'” Fitzpatrick wrote. Many opponents of the devices called for a ban, but the FDA ended up releasing guidelines for use, instead. The FDA discouraged surgeons from using morcellators in a majority of women. In a previous letter dated February 19, 2015, Fitzpatrick also questioned the FDA’s 510(k) premarket clearance program. According to the 510(k), medical device manufacturers may sell a class I or II device as long as a “substantially” equivalent device already exists on the market. Extensive testing or clinical trials are not required and manufacturers simply apply and pay a small fee. Many implants such as artificial knees or hips fall into this category. The power morcellator is a class II device and therefore, did not need extensive safety or efficacy testing prior to being sold. 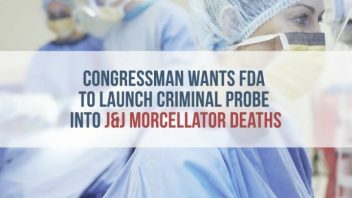 Fitzpatrick cited a report by the Institute of Medicine (IOM) “regarding the lack of pre-market safety testing requirements and absence of any post-market adverse outcomes surveillance mechanisms in 510(k).” The congressman asked the FDA what it would take to implement enhanced safety standards. About a year later, the FDA replied. “The FDA’s Center for Devices and Radiological Health (CDRH), in collaboration with other stakeholders, is working to develop an active surveillance system, the National Medical Device Evaluation System (NMDES),” the FDA wrote in its February 5, 2016 response. The NMDES will be run by a public-private partnership with a board made up of patients, providers, industry and government. 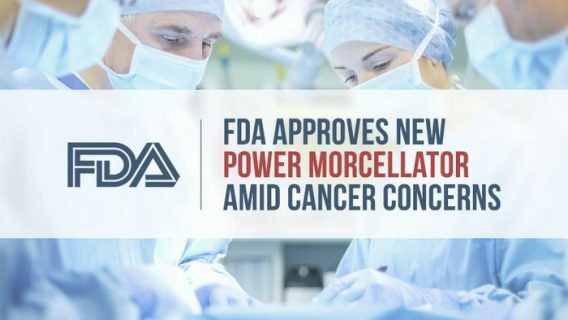 Since the FDA released the power morcellator safety warning in November 2014, a number of insurance companies stopped covering its use in surgeries and hospitals also stopped using it. Fitzpatrick, M. (2015, December 18). Letter to Director George Karavetsos, Office of Criminal Investigations, Food and Drug Administration. Cristinzio, D. (2016, February 5). Letter to the Honorable Mike Fitzpatrick, House of Representatives.